Alexis E. Menken, Ph.D. is a Clinical Psychologist licensed in NY, NJ and CT. She developed her career at Columbia Presbyterian Medical Center. She worked there for approximately ten years as a staff Psychologist in Community Psychiatry where she conducted women’s groups and trained psychology interns. 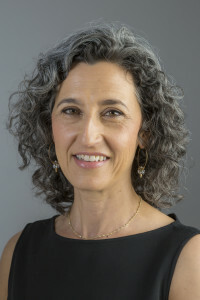 Dr. Menken developed a specialty in Maternal Mental Health and is the co-founder of The Pregnancy and Postpartum Resource Center at Columbia Presbyterian Medical Center in the department of Behavioral Medicine. She is an Instructor in Clinical Psychology in the department of Psychiatry at Columbia University and an Assistant Professional Psychologist at Columbia Presbyterian Medical Center. Dr. Menken worked on the PSI 2006 conference planning committee. She served on the Board of Trustees for Depression After Delivery. Dr. Menken was a member of Governor Codey’s Professional Education Subcommittee on Postpartum Depression where she helped write the Perinatal Mood Disorders Professional Education Training Program. She is currently working on the Maternal Mortality Review Committee for Governor Corzine. Dr. Menken teaches a Mind/Body course for infertility patients at the Institute for Reproductive Medicine & Science of Saint Barnabas in Livingston, N.J.. Dr. Menken has a private practice in Montclair, New Jersey where she treats women with disorders related to reproductive mental health. She can be reached at alexisphd@gmail.com or 973.783.7681.